How many designers out there rely on Jira Software for their day to day work? We often hear about Jira Software being the source of truth for product managers and developers, complete with powerful integrations and custom configurations. But how does this extend to designers? As a designer on the Jira team, this has been a point of interest to me. 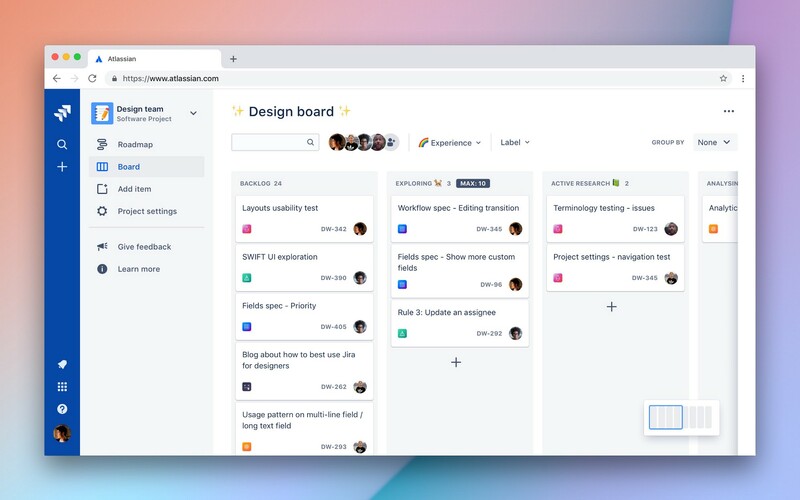 From our research with designers from other companies, we’ve learnt that some designers appreciate the ease of collaborating with dev teams in Jira Software, while others feel that Jira Software is unfamiliar and sometimes overwhelming for day-to-day work. 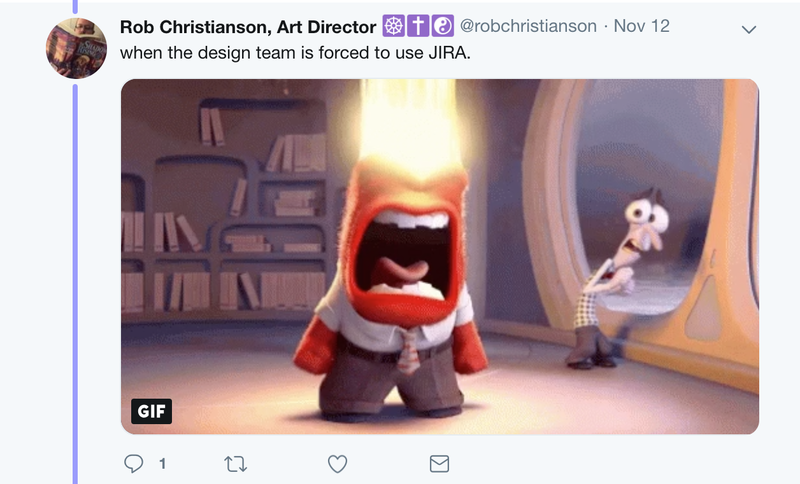 We’ve also heard that Jira Software doesn’t speak the language of designers. Designers don’t deal with issues; we speak in users, flows, nuances and how things behave in a certain context. It’s all about sweating the details, keeping track of all the specs, and collaborating with other team members to create the next cool thing that matters. Many designers seek advice on how to best use Jira Software for their design team. 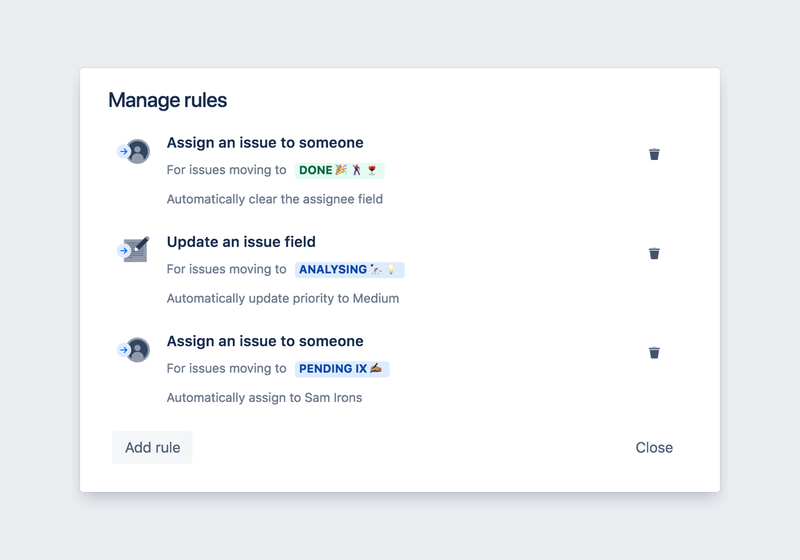 With the new Jira Software, we’ve been working hard at making the whole experience simpler and more intuitive. And we’re doing it without sacrificing the deep customisation and extensibility that made Jira Software the successful tool it is today. Along this journey, we’ve also picked up a couple of tips and tricks that have really helped our whole design team move faster. So after a year of using the new Jira Software (a.k.a. next-gen template), I wanted to share some practical tips that will help design teams to succeed using Jira Software. The first step is to create a unique project where everything design-related lives. 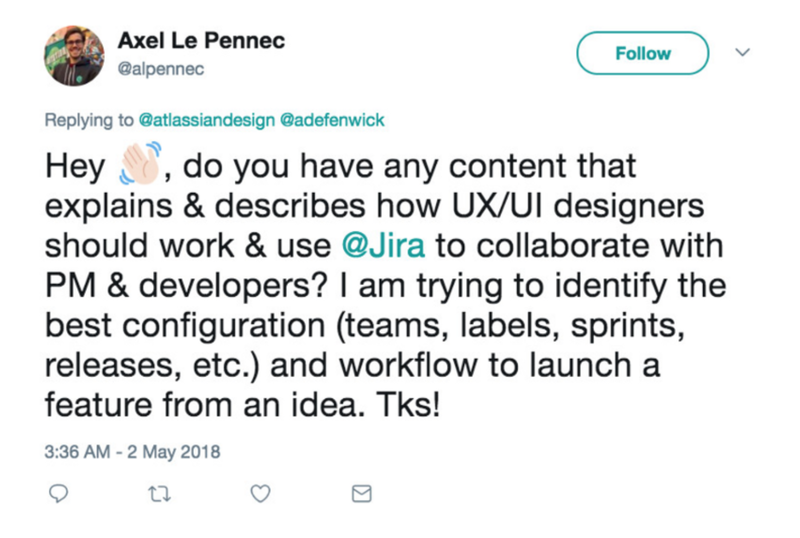 In the past, if you wanted your own bespoke design workspace within Jira Software, you’d have to ask your Jira administrator to create a project for you. This would typically take a couple of days or weeks to set up, depending on your requirements. 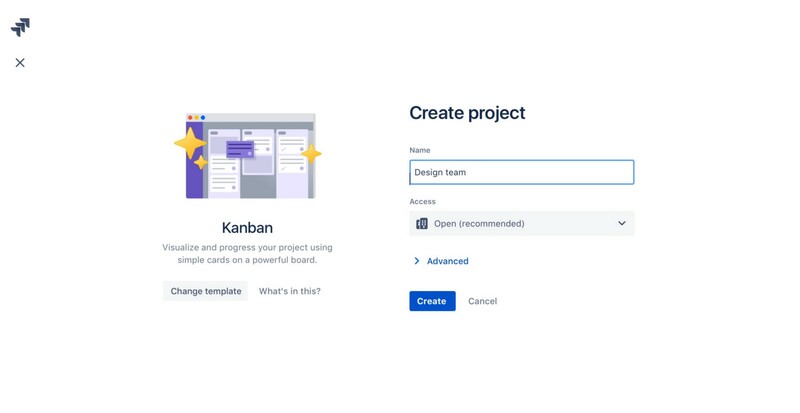 The good news with the new Jira Software experience is that now all end users are empowered to create their own project. Creating your own brand new project is simple enough to get done in a couple clicks so give it a try! Once you have your own design-centric project, it’s time to define what kind of work your team does on a regular basis. There are some default types of work (known as issue types) like Stories, Tasks, Bugs, and Epics. These might not be very useful for designers. The good news is with next-gen projects you can easily custom tailor your issue types for designers. (You do this in Jira Software’s project settings in the issue type section). Analytics: We use this to record analytics and metrics that might be useful for understanding usage patterns and what we’ll be optimizing for. We typically share this work item with the product manager or data analyst on the team. Research: We use this category to track research, user testing, and usability studies. Research work issues typically have special fields for recording insights and linking to customer interviews and videos. Spec: Specs are where we primarily live. It’s also our main way to get things done and get an overview of what to focus on weekly. Developers love going through these to inspect measurements of the InVision spec we’ve linked. Story: We use this for the larger flow of an experience. This typically involves work that comes out of a workshop, design sprint, or spike on an end-to-end experience. Other: This is reserved for things that are not super mission critical to the team. We use this to track requests for things like creating swag and reviewing work. With next-gen projects, we’ve made this process easier than ever. You can simply invite people and collaborate straight away — no admin approval required. If you’re a designer within an agency, you can also invite external contractors and grant them different permissions under Settings to make sure they don’t see any confidential material. One of the biggest benefits of the next-gen projects is how easy it is to create a unique workflow for your team. On a foundational level, a piece of work always goes through three main stages in its lifecycle: “to do,” “in progress,” and “done”. It’s natural that this evolves over time as the team matures. With next-gen projects, it couldn’t be easier to adjust your workflow as your requirements change. Backlog: This is our to do list, full of ideas and suggestions that need some design love. Exploring 🐕: Work at this stage has been picked up, however it’s still in initial exploration, which means lots of sketches and whiteboard photos. Active research 📗: Only our Research issue type ever gets put in this workflow phase. Typically, this is for when a usability study is still ongoing. Analysing 💡: Similarly, only our Research issue type needs this. It’s the stage where we listen to customer interviews and user testing clips to compile our findings. Sparring 🥊: After design work has been explored, it typically goes to this stage for design critique. This is where we review work with other designers, product managers and developers to see if we’re moving in the right direction. Speccing 📐: A piece of work only moves to speccing if it has been proven to move in the best possible direction. This status also indicates that the work has been sparred before and is currently being fleshed out. Copy review ✍🏽. This is when we sense check with the Content Design team to make sure we’re communicating in the right tone and voice with our users. Design done 🎉🍺🍷. This one is pretty self-explanatory. Some might ask: Is anything ever done in software development? Yes and no. Nothing will ever be perfect, but at one point things need to be documented and Sketch files need to be wrapped up in a nice little package. That is until we discover new insights, and start the process all over again! 5. Cut repetitive actions with Rules. To further enhance the workflow capability, in next-gen projects you can now automate basic tasks with the rules feature. For example, when a card gets moved into the “copy review” column, the content designer we work with will automatically be notified. This helps you to save time and focus on the things that matter. 6. Get the status of work on the go with Jira mobile. Lastly, if you’re always on the go, the next-gen template is also available in Jira mobile. I personally found this helpful when I was doing a remote working stint in Japan. 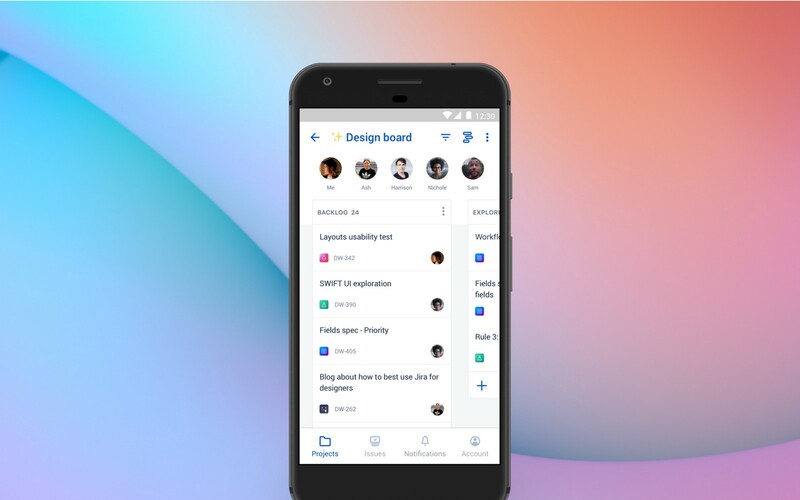 When a product manager or developer lead asked me for the latest update, I could simply pull Jira mobile out of my pocket, comment on some tasks and instantly get everyone on the same page. This is only the beginning of the journey to reimagine Jira Software. We hope you find our next-gen template a big improvement for your design team. Hopefully these tips will help you better track your design work and provide visibility where you need it. But there’s only one way to find out: give the new project type a try and let us know what you think. And if you have any tips, tricks, or suggestions, we hope you’ll share back with other designers on the Atlassian community. @James Rotanson it's exciting to see a how-to showing the new capabilities of next-gen software geared towards a design-centered team. How this Design centered project could fit in with say Classic Jira Software dev project workflows? How could people transition issues from Design to Dev? 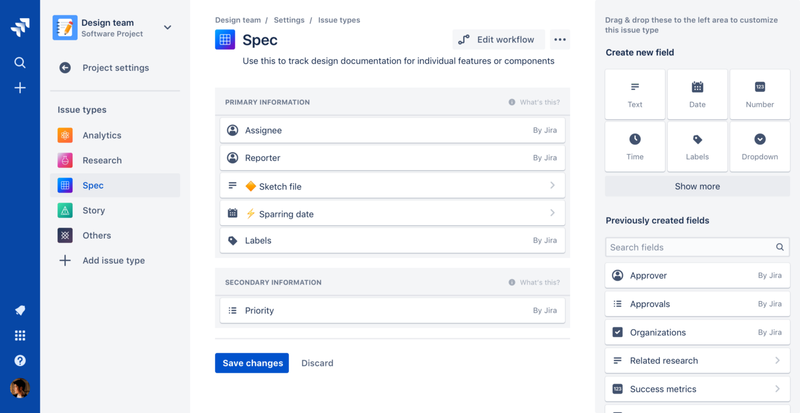 Or share updates with design on how those features are being dev'd - think this would be a very valuable how-to to show how Next-Gen and Classic projects work together - lmk if this documentation exists somewhere! From what I have seen, it seems that Next-Gen is being geared towards a simpler UI and less dev focused features. Does that mean that it's also being targeted towards PM? One of the conundrums our team faces all the time is how dev practices tie into design team workflow, and PM team workflow. It would be great if there are more resources to make these processes more cohesive. I have the same questions as Nikki above. 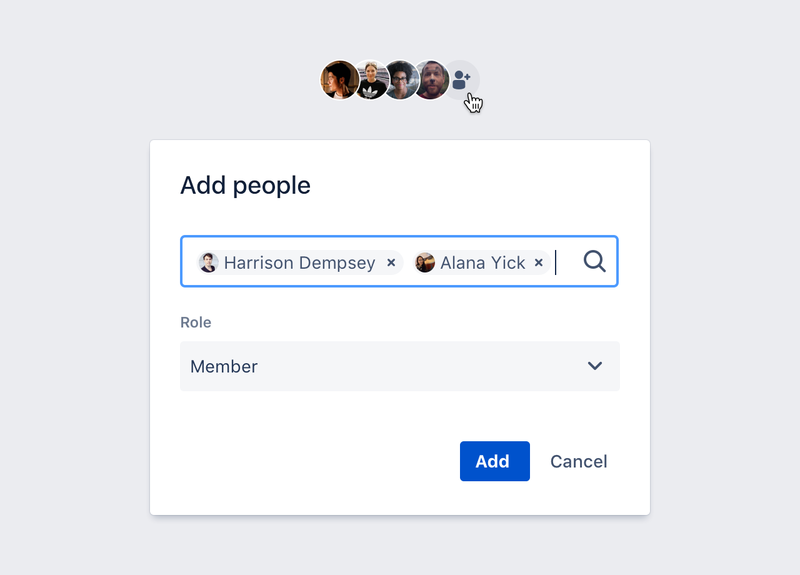 As designers, we want to work more collaboratively with product managers and developers, so facilitating this in Jira is a must-have! Thanks for raising some really good points about bridging the gap between Design, Development and Product management all together! The current way we're handling this in Next-gen is by setting a Rule in the Done column of the design project to assign the issue to the Feature lead. This will then be taken into planning meeting or kickoffs and then we'll see if there are any remaining questions for the spec. Of course, this is only one way to do it - and we've so much more to learn! As Lars have kindly shared, there's a ton of different ways to use Jira. It all depends on your team. Having said that, we can definitely provide a better experience and it's awesome to see so much appetite in this. We'd love to have a deeper chat with you through our research group. We'll be looking into this end to end collaboration more especially as the Next-Gen direction is to simplify Jira for every team but still retain the power. Case in point, the Next-Gen Roadmap is geared for Product Managers but we've also geared up on the development panel. This is wild; I'm a developer, so it was super interesting to see what the tool looks like from that perspective. I honestly had no idea designers used Jira Software, I would have never guessed. We run web services, graphic design and print centre all from JIRA. We started about 8 years ago with the webby stuff and its over the past four years that we have added design and print. We dip into the Agile world for both and use what suits best. We've also used the JIRA API to integrate with our print workflow system. I would love to get in touch with you. We started using Jira 3 years ago with the web teams and we are now using it with the print and design teams also since a couple of months. Also regarding the print workflow system i'm interested in how and what you guys have setup. Seems like you both are nailing it when it comes to setting up your project for design use cases! I'd love to do a bit of a deep dive on the setup you've got. Feel free to share screenshots, examples, or even a back of napkin sketch of how your Jira projects, workflow, sprints, etc. are all sorted out.